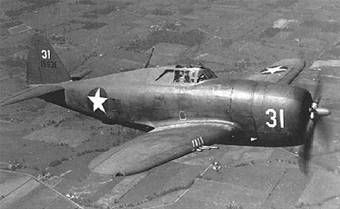 On the morning of June 11, 1943, 2nd Lt. Bruce Cowan, 19, took off from Westover Field in Chicopee, Massachusetts, in a P-47-B Thunderbolt, (Ser. No. 41-5956), for a routine training flight. At about 10:45 a.m., his aircraft was observed high over the field by a security guard for the Chicopee Water Supply. The guard later related how the aircraft appeared to “side-slip” and rapidly loose altitude, before it crashed in a wooded area about 200 feet off Burrett Road, about a quarter-of-a-mile from Westover Field. Lt. Cowan was killed instantly. Lt. Cowan died four months shy of his 20th birthday. He was assigned to the 321st Fighter Squadron of the 326th Fighter Group. He’s buried in Forest Hill Cemetery in Birmingham, Alabama.